When the season began, the favorites to win the Pac 12 were Washington, Stanford, USC, and a few others that might be able to sneak into contention. Nobody thought a team like Colorado would be among those listed above but here we are today as the Buffs sit at 4-0 and first place in the Pac 12 South. Obviously, the season is still young but it doesn’t mean we shouldn’t be taking Colorado any less serious. 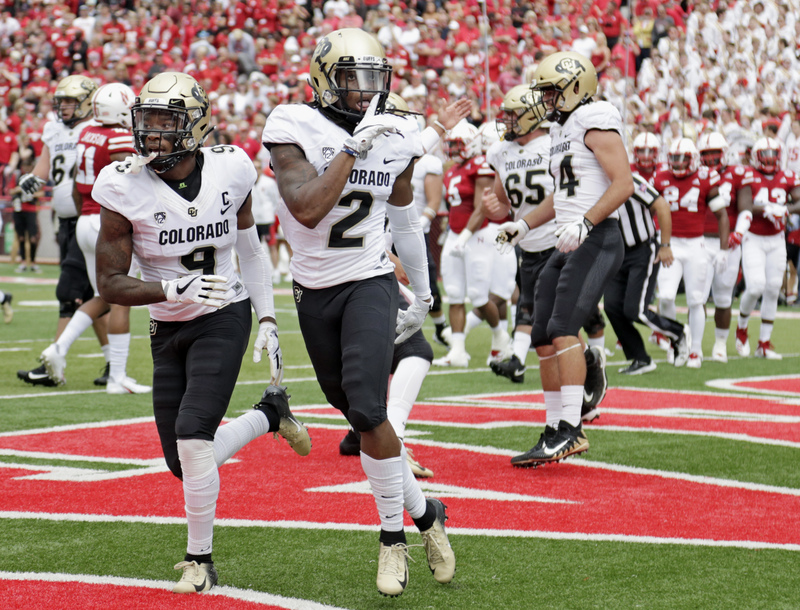 CU has defeated every one of their opponents with ease except for their matchup in Nebraska who gave them a little bit more of a fight but CU’s deadly QB-WR with Steven Montez and Laviska Shenault Jr. duo still proved to be too much for the Huskers. Plain and simple, this team looks like it’s getting better by the week and last week’s dominant win over UCLA backs it up. Quarterback Steven Montez has transformed into one of the most fundamentally sound and reliable QB’s I’ve seen in recent years. His ability to always find the open receiver is something that’s rare to find in a college quarterback. He has the numbers to back it up. Take a look for yourself. As impressive as those numbers are, I do have to mention the fact he has one of the most underrated and overlooked wide receivers in the NCAA catching his passes with Laviska Shenault Jr. If watching an NFL caliber receiver sounds like something you’d be interested in, I highly recommend turning on a Buffs game the next time you get the chance. Laviska Shenault Jr is a mismatch for nine out of ten corners. He’s tall, fast, agile, and has the hands of a seasoned NFL vet. In three out of the four games that he’s played in this year, Shenault’s had 120+ yard receiving yards. Heading into week 6, the Colorado WR already has 581 total receiving yards and has no sign of slowing down. This Colorado team has one of the most dominant QB-WR duo’s in the country and it’s incredibly fun to watch. If these two continue to thrive, expect the team as a whole to as well. Once again, I know it’s early but keep your eyes on that Colorado team down up in Boulder.